Students survey and report on the wide range of ancient Greek achievements in fields as diverse as poetry, mathematics, and sports. First, they watch a video on ancient Greek music. Then, students learn about achievements in their assigned specialties. 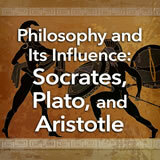 Next, they identify and explain the contributions of famous Greek individuals. 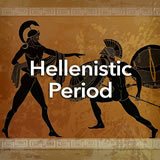 Finally, they research the achievements of ancient Greek women. In this experience, students survey and report on the wide range of ancient Greek achievements in fields as diverse as poetry, mathematics, and sports. First, they watch a video on ancient Greek music. Then, students learn about achievements in their assigned specialties. Next, they identify and explain the contributions of famous Greek individuals. 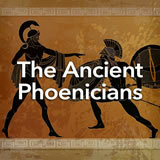 Finally, they research the achievements of ancient Greek women. Students will work together in small groups in scenes 2 and 3. You will assign a different one of the following areas to each group: science, mathematics, poetry, drama, history, visual art, architecture, philosophy, and sports. If you wish to combine two specialty areas for reasons such as class size or time, combine visual art with architecture, drama with poetry, or science with mathematics. Describe important Greek contributions to Western civilization. 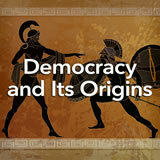 Identify important figures from ancient Greece and explain their impact. 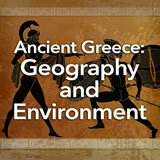 The ancient Greeks were creative in just about every field you can name. They learned from the achievements of older cultures, such as Egyptian and Babylonian geometry and the Phoenician alphabet, but they made great advances beyond what came before. 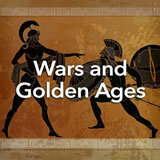 Tell students that Apollo was the god of light, wisdom, music, and medicine. The name of the stringed instrument he is holding, kithara, became the word guitar. Indeed, in modern Greek, the word for a guitar is kithara. Invite interested students to pronounce both words and listen for the similarities and differences. To morph kithara into guitar, /k/ becomes /g/; /th/ becomes /t/; and the final /ə/ is dropped. We don’t have any proven examples of ancient Greek music today, but we do have relics of ancient Greek poetry, prose, drama, sculpture, painting, and architecture. We do know that the Greeks loved music. They even had a theory of astronomy based on music! Watch Music and Creativity in Ancient Greece and have your eyes—or ears—opened. 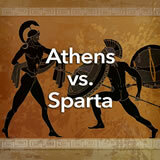 Based on the video, what is your impression of the culture of ancient Greece? Did the video change your ideas about that culture? Divide students into their small groups for the next two scenes. Assign each group one of the following areas to research: science, mathematics, poetry, drama, history, visual art, architecture, philosophy, and sports. Assign a reporter to upload the result for each group, or tell the groups to choose their own reporter.